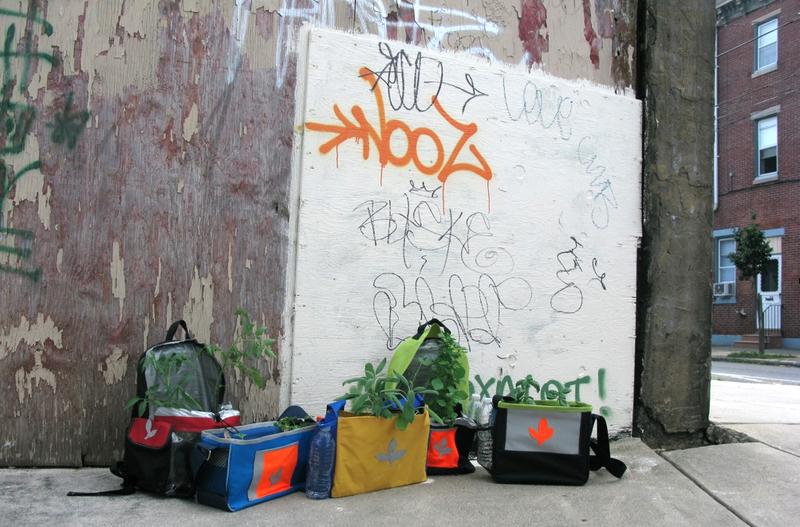 Plant Backpacks Coming this May to Yancy County, North Carolina and the Penland area! Germination Corps. 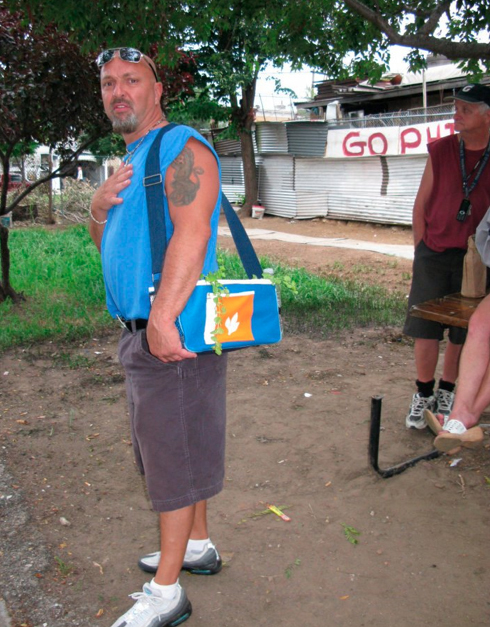 is an engagement art project I conceived of and started at a residency in Philadelphia at The Philadelphia Art Hotel, in the summer of 2010. It takes the idea of our nomadic existence and examines humans’ relationship with caring for the plants we eat and live with. 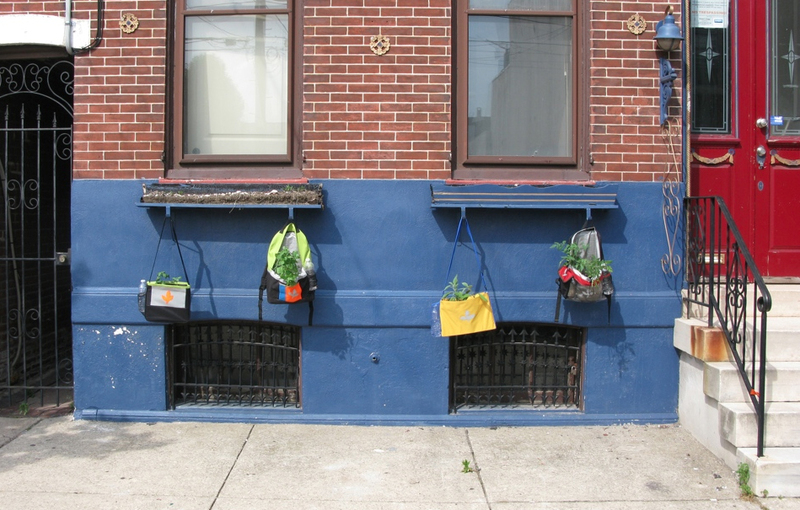 I developed Plant Backpacks to solve problems of the urban neighborhood of Kensington, Philadelphia, an area with much brown space. 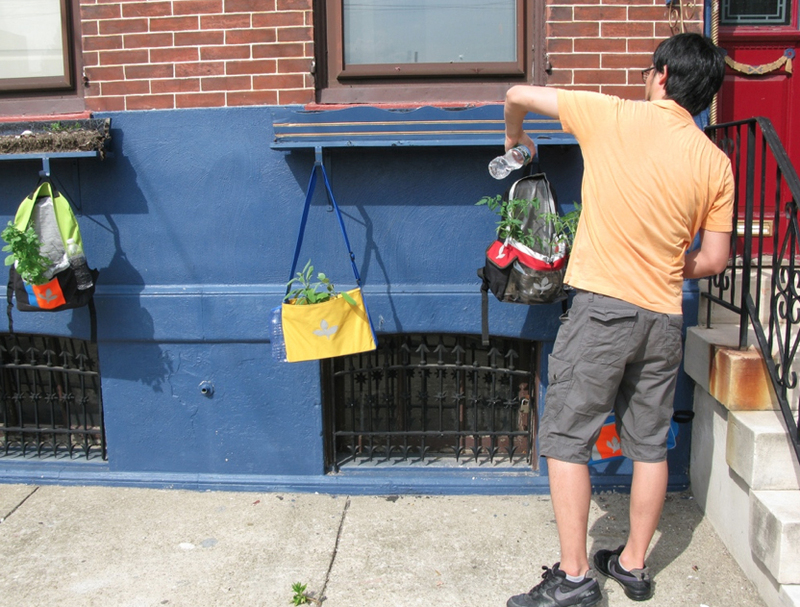 Plants are planted in backpacks and then paraded through town, creating a mobile garden, that connects different green spaces like urban community farms in the area. It teaches kids and adults to care for a plant much like caring for an egg or a sack of flour as if it were a baby in home-ec class. This mobile garden will grow this summer as I make plant backpacks with the community of rural North Carolina. Stay tuned to see how this project adapts itself to a rural and close-knit environment.